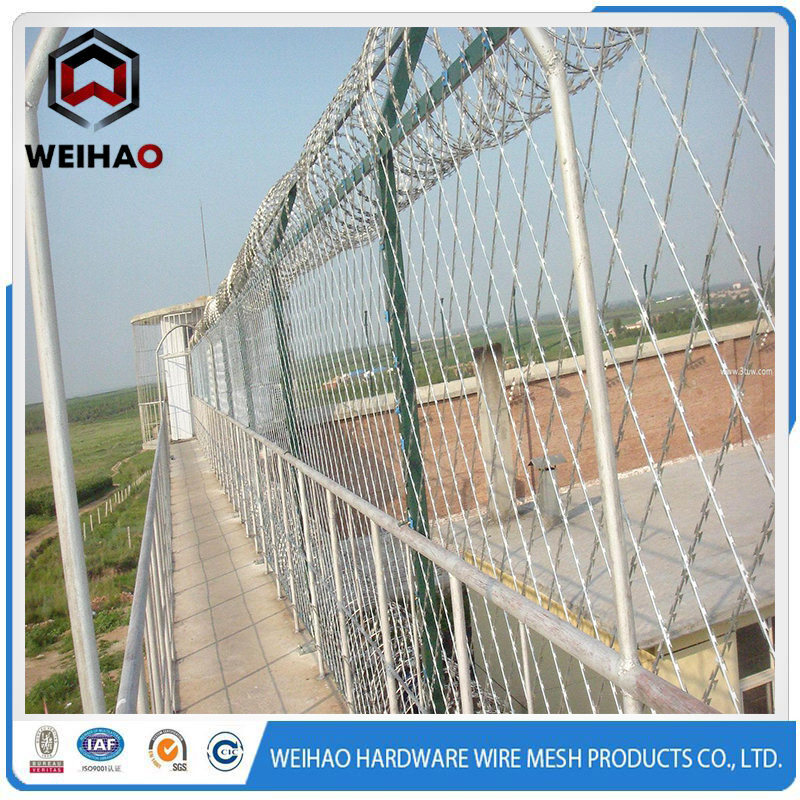 Hot galvanized Razor Barbed Wire is a new kind of protective fencing with such advantages as beaut concertina Barbed Wire iful appearance,economical cost and convenient construction.It plays the role of protection in mines,gardens and apartments,frontier and sentry defence,and enclosure of prisons. 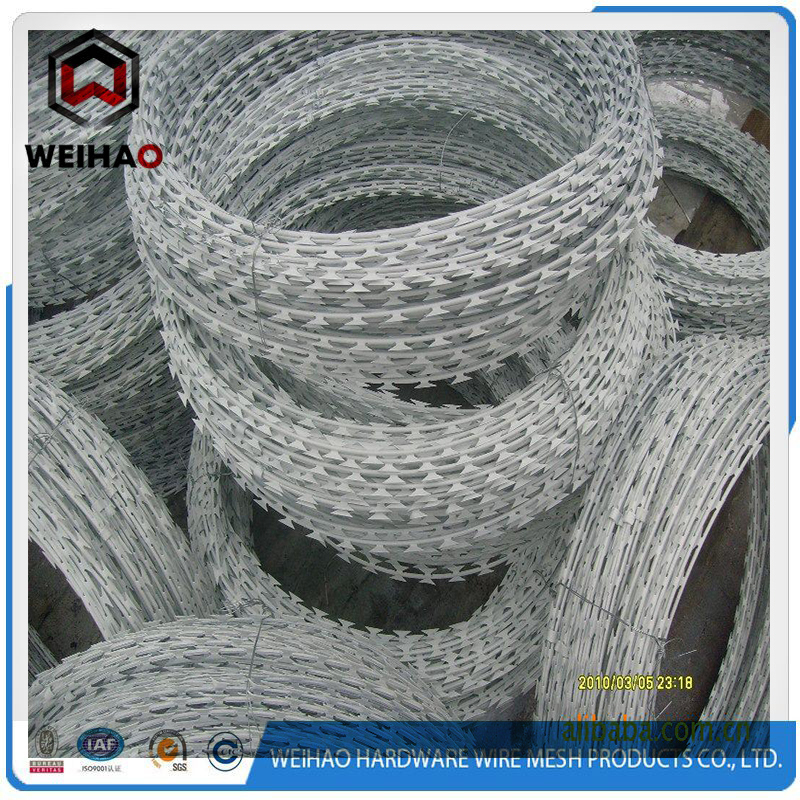 Material:galvanized steel sheet and wire or stainless steel sheet and wire. 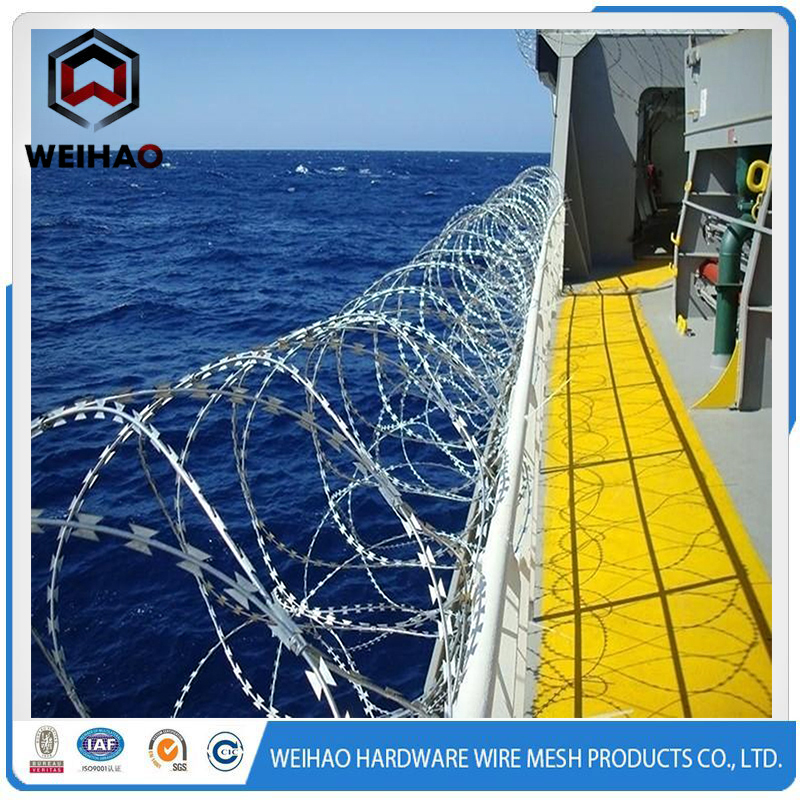 Our company has specialized in the razor wire field for more than 10 years.We are sure to offer you the Best Quanlity with resonable prices about the Galvanized & Stainless steel razor wire. 3. Covering area can be 7m,8m,10m,12m,15m or as customer's requests. 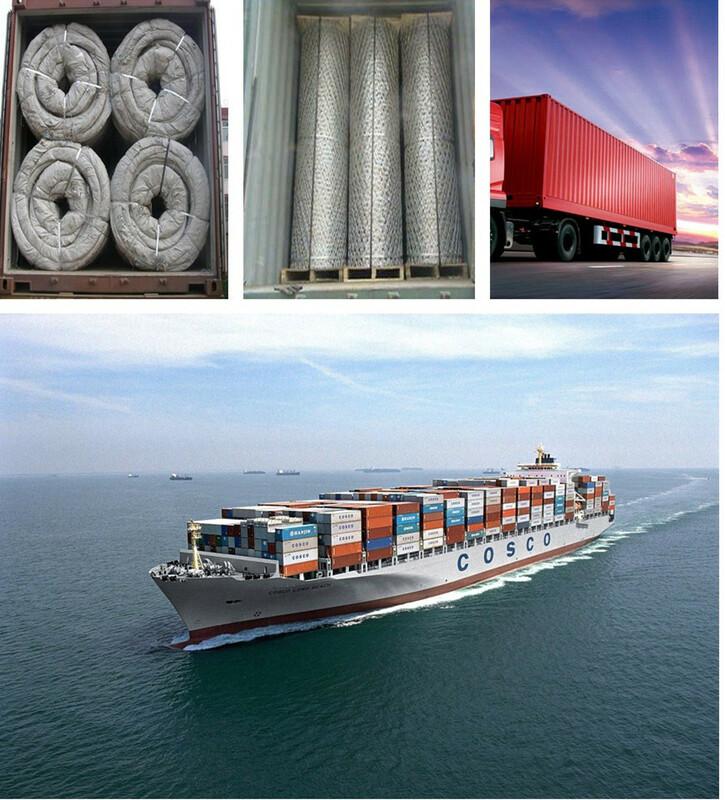 4.Outter roll diameter can be:450mm,500mm,600mm,730mm,900mm,1meter, or as customers' specific request. 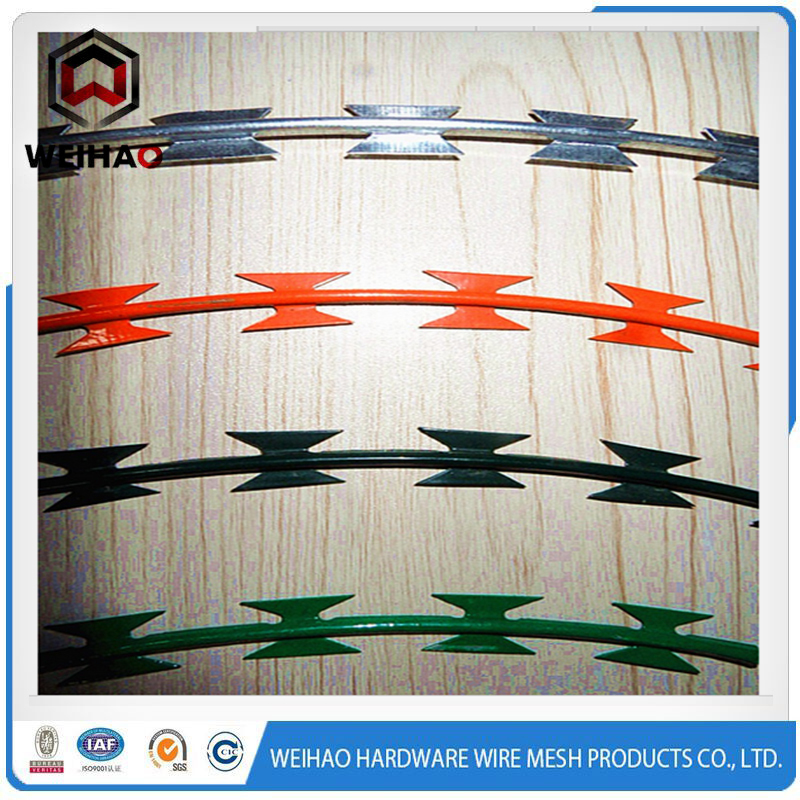 Looking for ideal Durable Razor Barbed Wire Manufacturer & supplier ? We have a wide selection at great prices to help you get creative. 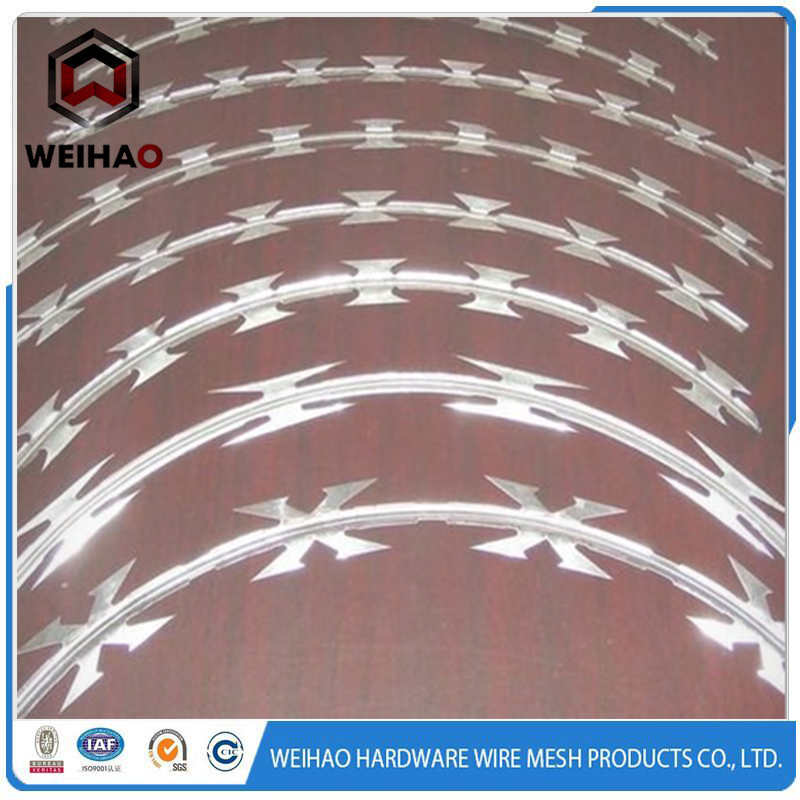 All the Blade Razor Wire are quality guaranteed. 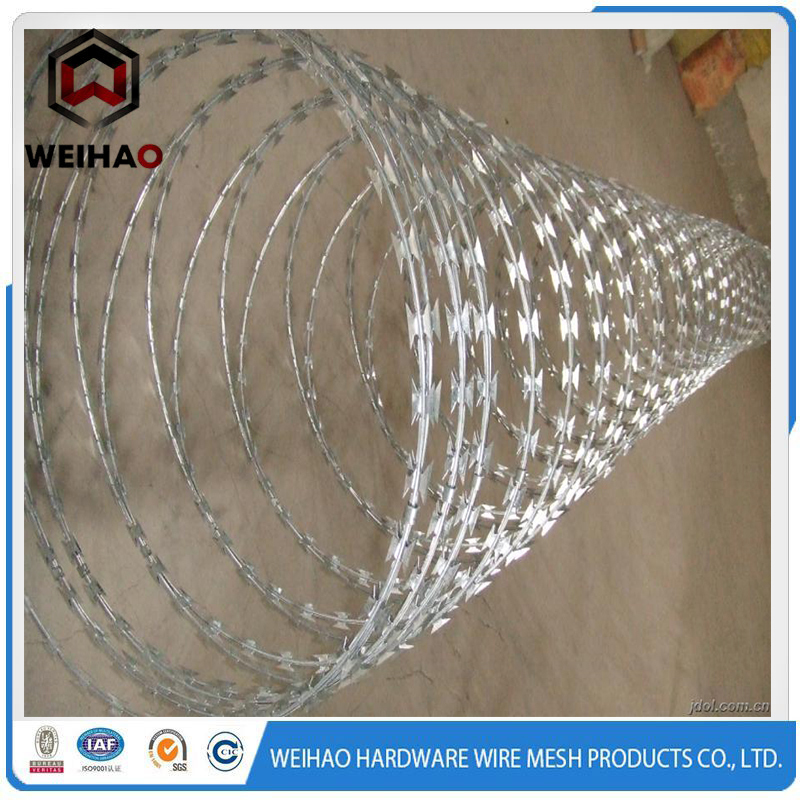 We are China Origin Factory of Cheap Razor Barbed Wire. If you have any question, please feel free to contact us.